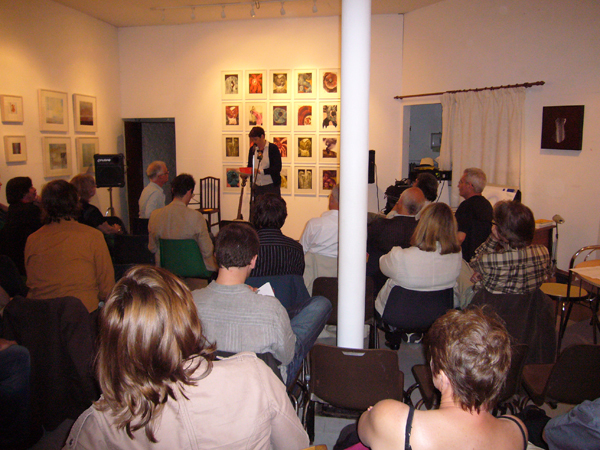 The second Hay Poetry Jamboree lopes onto the scene with a series of substantial readings by some of the most exciting poets in Wales and elsewhere; among them, Childe Roland, Robert Minhinnick, Alan Halsey, Geraldine Monk, Elisabeth Bletsoe and Caroline Bergvall. The event takes place at the Oriel Gallery of Contemporary Art in Hay on Wye, from 3rd to 5th June 2010, and this year extends its link with the visual arts, by hosting the Elysium Gallery Film Festival, and by showcasing the work of painters Penny Hallas and Stewart Macindoe, performance-artist Kathryn Ashill and film maker/poets The Quantum Brothers. 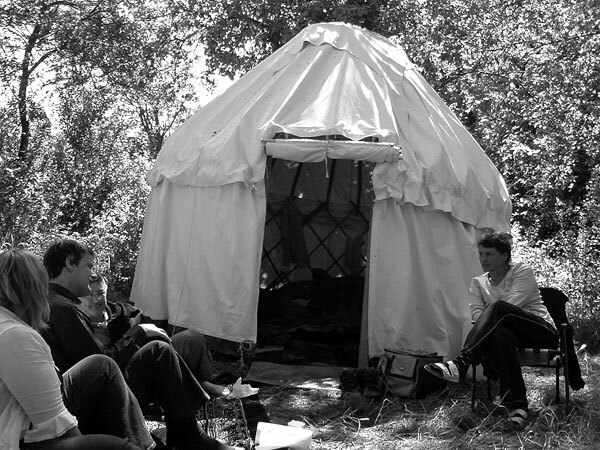 The Hay Poetry Jamboree was conceived as a modest attempt to redress an imbalance. 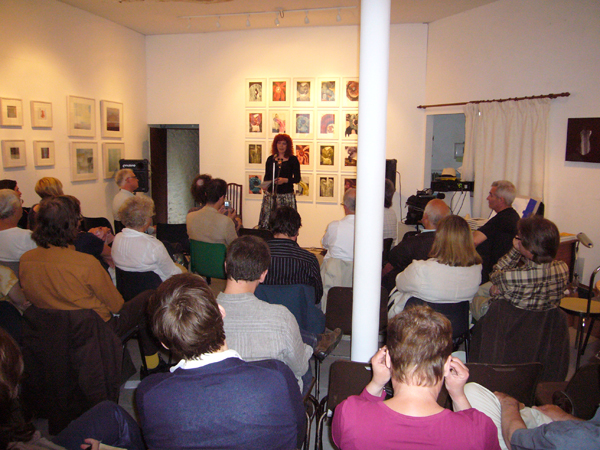 Although there are a number of established poetry festivals in Britain, few provide more than a bare modicum of space for those poetries which operate outside the margins of the mainstream. The Jamboree set out to provide another platform for writers working within a more exploratory ethos. The Jamboree is partisan, but not doctrinaire – it’s chief criteria are “Is it good?” and “Is it interesting?” Our bias is towards the radical, the innovative, the experimental, but these terms are relative and shifting and we are interested in any writer coming from whatever context who is trying new things, making unforeseen connections. Our aim too is to forge new links: between poetries, naturally, but also between poetry and other art practices — visual, musical and performance-based, and between poetry and academic discourses. The Jamboree is open, unruly and good-natured. It is intimate, responsive, argumentative and undernourished. It asks too much, far too much of everyone, but everyone, performer and spectator has a stake in it; it belongs to them, and they are the substance of the thing. 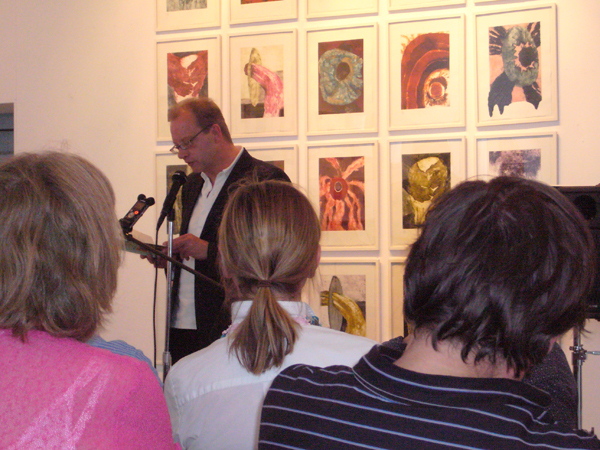 5.00 – 6.00 p.m. John Goodby, lecture: ‘Undispellable lost dream’: Reading Welsh Alternative Poetry. Childe Roland, aka Peter Meilleur, was born in 1943 in Guildford to an English mother and French-Canadian father, but was raised bilingually in Quebec. He moved to Wales in the 1970s. A visual/verbal artist, his book art has been exhibited alongside that of Picasso, Matisse, Duchamp, Magritte, Braque, Cage and Man Ray. He works in the concrete, found and sound poetry field and since the 1980s has devoted himself entirely to poetry. He is interested in choral and multi-media settings of pieces which are often a mix of English, French and Welsh. His many works include six of clubs (1997), Shearwater Oratorio and the one-act plays, Ham and Jam and A Pearl. Peter Finch, in a poem called ‘The Light’, said: ‘Childe Roland doesn’t engage / language from the outside. He assembles it from within’. Robert Minhinnick lives in Porthcawl, South Wales. His poetry collections include A Thread in the Maze (1978); Native Ground (1979); Life Sentences (1983); The Dinosaur Park (1985); The Looters (1989); and Hey Fatman (1994). A Selected Poems was published by Carcanet in 1999, followed by After the Hurricane (2002). In 2003, the same publisher issued his translations from the Welsh, The Adulterer’s Tongue: An Anthology of Welsh Poetry in Translation. His latest collection is King Driftwood (2008). His debut novel, Sea Holly, was published in 2007, and shortlisted for the 2008 Ondaatje Prize. For their jamboree performance Minhinnick, musicians Richard Thomas and Peter Morgan, film-maker Lucy Minhinnick and photographer Eamon Bourke, have reinterpreted Sea Holly as a 30 minute ‘masque’, featuring spoken word, guitar, keyboard, chorus, film and image. If you enjoy ghost trains, funfairs, sand dunes, booze, and above all, mystery, this is for you. Alan Halsey‘s collection of poems include Five Years Out (1989), Wittgenstein’s Devil (2000), Marginalien (2005) and Not Everything Remotely (2006). In addition, his prose works include The Text of Shelley’s Death (1995) and A Robin Hood Book (1996). Among his collaborative works are Fit to Print  with Karen Mac Cormack (1998), Days of ’49 with Gavin Selerie (1999) and Quaoar with Ralph Hawkins and Kelvin Corcoran (2006). He is the author of several essays on Thomas Lovell Beddoes and the editor of the later version of Beddoes’ Death’s Jest-Book (2003). His graphics have been widely published and he is the illustrator of several books including Kelvin Corcoran’s Your Thinking Tracts or Nations (2001) and Gavin Selerie’s Le Fanu’s Ghost (2006). Halsey’s text-graphic work Memory Screen was shown at the Bury Text Festival in 2005. “In the end, one is brought back to Halsey’s enormous respect for words and their antonyms, echoes, ghost histories, spectral futures. He continues to create a kabbalah of cultural signs, a dictionary of linguistic possibilities, a stylish verbal music, in his essential role as a courteous gadfly,” wrote Paul Merchant in the Chicago Review. Caroline Bergvall is a French-Norwegian writer and artist based in London, working across media, languages, and artforms. Projects alternate between books, audio pieces, performances and language installations. Forthcoming: Alloy: new and selected pieces (Nightboat Books, 2010). Current collaborative installtion: Say: “Parsley” (Arnolfini, Bristol, 8 May – 4July 2010). Recent presentations: Tate Modern, Poetry Marathon (Serpentine Gallery), PhonoFemme (Vienna), MukHa Museum (Antwerp), Henie Onstad Museum (Oslo), MOMA (NY). AHRC Fellow in the Creative and Performing Arts. Online critical pieces and work samples available on website: HYPERLINK “http://www.carolinebergvall.com” www.carolinebergvall.com. Elisabeth Bletsoe has degrees in psychology and history and is currently involved in administration, conservation and research at Sherborne Museum. Her recent publications include Landscape from a Dream (Shearsman, 2008) and Pharmacopoeia and Early Selected Works (Shearsman, 2010) and she has just completed a biographical work concerning the life of a little known Edwardian botanical artist. Her poetry is firmly rooted in the landscape of her native Dorset where she explores not only its geology, archaeology and botany but also its mythic, folkloric and psychic resonances. Tony Frazer of Shearsman Press has described her as “one of the most fascinating poets of her generation”. Anthony Mellors says: My poetry functions as an array of discrete discursive elements culled from every available source: found, spoken, inscribed, invented, generated. As Dijkstra’s Primer of Algol 60 Programming 37 (1962) intimates, ‘[t]he simplest example of such an array is a vector, i.e. a sequence of subscripted variables.’ It is usually found, however, that the processor (in this case, the ‘poet’) cannot be vectored to an appropriate device service routine. The fall-out, therefore, is pathogenic but still directional in terms of contrastive images of light and dark. What this means is that the poem acts as a kind of plasmid, as if introducing foreign DNA into bacteria. This was clearly the case with a sequence from the early 1990s, A Pastoral, where traditional configurations of the otiose are reinscribed into a damaged municipal lifeworld. Whether the results allow for tolerable residence or increased isolation remains to be seen, nevertheless the principle of shuttling established by Old and Primrose proves that stable replication is possible. Claudia Azzola, poet, critic, translator and creator of cultural events, lives in Milan. She has published several collection of poetry: “Ritratti” (Campanotto editore, Udine, 1993); “Viaggio Sentimentale”, poemetto di Book Editore, Bologna: “Il colore della storia”, (Campanotto, 2002); È mia voce tramandare”, (Signum Edizioni d’Arte, 2004); and “Il poema incessante” (Testuale 2007). She has been an editor in the publishing trade and in television and has worked for a long time in galleries specializing in contemporary art. In 2006 she created and published, with Nuove Scritture, the magazine “Traduzionetradizione”, which appears annually, dedicated to the poetries of Europe, in a mixture of translated and original versions. Keri Finlayson was born in Cornwall. She has since lived in Cambridge, where she read Theology, Norway, Suffolk, Belfast and Swansea. She has worked as a clotted-cream maker, and as a teacher of adults and children. 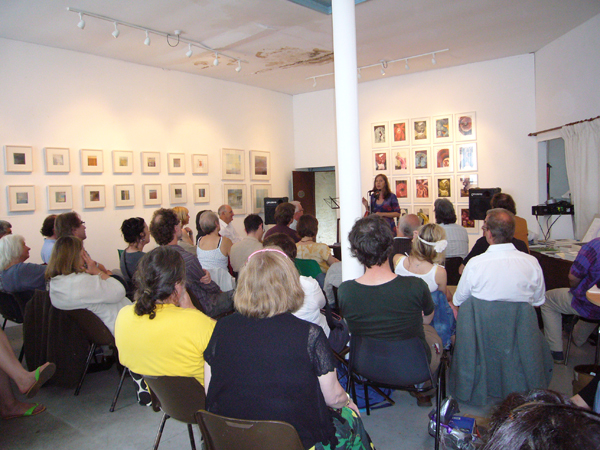 In 2005 she was the recipient of a Welsh Arts Council Academi Writer’s Bursary and her poetry has appeared in magazines such as Poetry Wales and Poetry Cornwall. She is a specialist in children’s early years literacy and language development and is the author of Poems for the Foundation Stage (Featherstone, 2008). Her first collection of poems is Rooms (Shearsman 2009). She currently lives in Swansea with her partner and two children. Phil Maillard was born in 1948, and grew up in South London. He completed a carpentry apprenticeship with the old Greater London Council in the early 1970′s; he still messes about with houses. He moved to South Wales in 1975. Now retired, he worked for more than twenty years as a Speech and Language Therapist for the NHS, specialising in progressive neurological conditions. 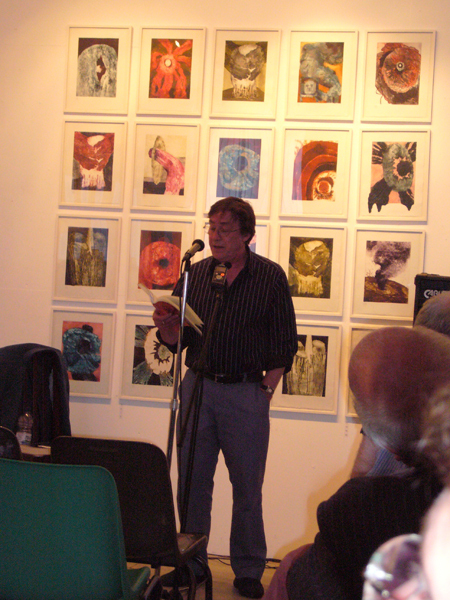 Ian Davidson has been publishing poetry since the early 1980s. His most recent full length poetry collection is As if Only, from Shearsman in 2007. Partly in Riga, again from Shearsman, will be published in 2010. Recent pamphlets include Familiarity Breeds, (Oystercatcher 2009), and Into Thick Hair (Wild Honey 2010). His current research explores the ways that experimental writing engages with non-mainstream political positions. It is published in Ideas of Space in Contemporary Poetry (Palgrave 2007) and Radical Spaces of Poetry (Palgrave 2010) and in essays on Lisa Robertson, Frank O’Hara, Lee Harwood, Alice Notley, Charles Reznikoff and J H Prynne. He is co-editing Placing Poetry, a collection of essays for Rodopi, and is co-convenor of the Contempo seminar series (www.aber.ac.uk/contempo), was co-editor of Skald for some years, co-edits a pamphlet series under Gratton Street Irregulars and is poetry editor of the journal English. He teaches literature and writing at Bangor University in north Wales. Scott Thurston is the author of eight books of poetry, most recently Internal Rhyme (Shearsman, 2010). He edits The Radiator, a little magazine of poetics, and co-edits The Journal of British and Irish Innovative Poetry. Scott lectures at the University of Salford and has published widely on innovative poetry. See his pages at HYPERLINK “http://www.archiveofthenow.com/”www.archiveofthenow.com/. Ric Hool has 5 collections of published poetry and his work has featured in magazines & journals in Europe, USA & UK. ‘No Nothing’ is his most recent publication (2009). He was the Academi poet for Abergavenny Food Festival 2009 and also poet representative for the South Bank London Global Poetry System 2009. Ric runs the poetry readings at Hen & Chicks, Abergavenny. This event has been thriving for the past 16 years. Randolph Healy was born in 1956 in Scotland, and moved with his family to Dublin 18 months later. Studied mathematical sciences in Trinity College Dublin. Beau press published 25 Poems, edited by Maurice Scully, in 1983. Has published work in The Beau Magazine, Gargara, Angel Exhaust, West Coast Line and The Poet’s Voice. The pamphlet Envelopes was published in 1996 by Cambridge Poetical Histories. Married to Louise MacMahon since 1983. They have four daughters: Margaret (11), Florence (8), Genevieve (5) and Beatrice (1). In recent years Healy has started one of the most remarkable of Irish poetry imprints. Wild Honey Press is remarkable equally for the care and delicacy of its limited-edition hand-produced volumes and for the ambition and quality of the entire enterprise. Wild Honey has published Healy’s work in four chapbooks: Rana Rana!, Arbor Vitae, Flame and Scales. His Selected Poems was published by Salt in 2000. Samantha Wynne Rhydderch has published two collections of poems, the latest of which, Not In These Shoes (Picador, 2008) was short-listed for Wales Book of the Year 2009.Her work has been published in Poetry Wales, Poetry London, Poetry Ireland, the Independent and the Forward Anthology 2002 and 2009 as well as broadcast on BBC Radio Wales and Radio Scotland. She has read at the Hay Festival, the Edinburgh Book Festival, Ledbury Poetry Festival, the University of Ottawa, Concordia University Montreal, the Jagiellonian University Krakow and for the Arvon Foundation. Samantha studied Classics at Cambridge followed by an MA in Writing at the University of Wales Cardiff. She has received awards for her work from the Society of Authors (2007), the Hawthornden Foundation (2005) and the Academi Gymreig (1997 and 2002). She is currently an Affiliate of Birkbeck College London (Research in Representations of Kinship and Community). 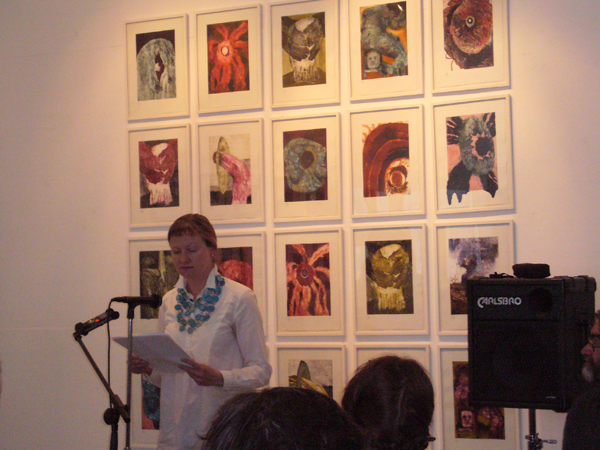 Zoë Skoulding’s most recent collections of poems are Remains of a Future City (Seren, 2008), long-listed for Wales Book of the Year 2009, and The Mirror Trade (Seren, 2004). Her collaborative work includes Dark Wires with poet Ian Davidson (West House Books, 2007), From Here, with images by Simonetta Moro (Dusie, 2008) and You Will Live in Your Own Cathedral with sound by Alan Holmes (LAF-Seren, 2009). She is a member of the group Parking Non-Stop, whose album Species Corridor was released by Klangbad in 2008. She holds an AHRC Research Fellowship at Bangor University, where she also runs part-time courses in literature and creative writing. 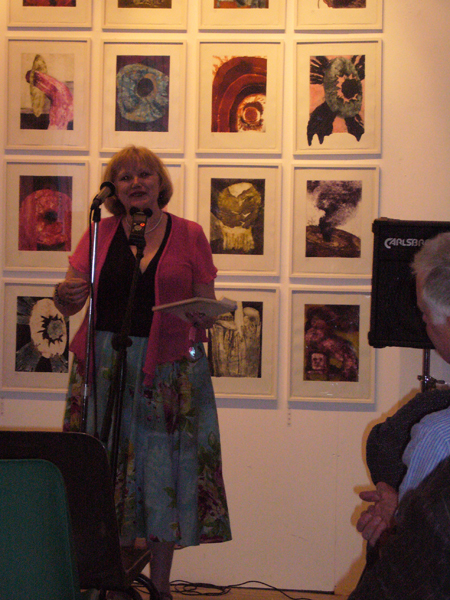 She has been Editor of the international quarterly Poetry Wales since 2008. Jean Portante was born in Differdange (Luxembourg) in 1950. He is of Italian origin and lives in Paris. He has written widely-translated novels, stories, plays and poetry, published in Luxembourg, France, Belgium, Switzerland, Québec, Ireland, Italy, Romania, Bulgaria, Germany, Slovakia, Argentina and Colombia. He has translated numerous poets into French, including Juan Gelman, Jerome Rothenberg, Pierre Joris, John Deane, Gonzalo Rojas and Maria Luisa Spaziani. In 2003 his book L’Etrange langue was given the Mallarmé award in France, and in the same year he won the French Grand Prix d’Automne de la Société des Gens de Lettres for his life’s work. In 2005, the French publishing house Le Castor Astral brought out his selected poems, La Cendre des mots. His latest books, are Le Travail du poumon (Editions Le Castor Astral, 2006); Je veux dire, (Editions Estuaires, 2007); En réalité, (Editions Phi, 2008), and La réinvention de l’oubli (Editions le Castor Astral, June 2010). As a novelist, his works include Mrs Haroy ou la mémoire de la baleine, which is translated into many languages. He is also the author of a biography of Allen Ginsberg: Allen Ginsberg. L’autre Amérique (Editions le Castor Astral, 1999). In English, Daedalus Press has published Point/ Erasing, poems translated by Anne Marie Glasheen. Since 2006, Jean Portante has been a member of the Académie Mallarmé. In 2008, he founded, in France, with poet Jacques Darras, the poetry magazine Inuits dans la jungle. In Luxembourg he edits the literary magazine Transkrit. Carol Watts published her first chapbook brass, running with Equipage in 2006, described by the American critic and poet Charles Alexander as ‘a revelation’. Her first collection Wrack followed in 2007, and since then three chapbooks: When blue light falls 1 and 2 with Oystercatcher Press, and this is red with Torque, as well as the artist’s book, alphabetise. Her recent work moves across different media and includes a collaborative performance for live voice, film and dance called In the Fold. Her poetry has been anthologised in The Reality Street Book of Sonnets, Infinite Difference: ‘Other’ Poetries by UK Women Poets, and is included in the forthcoming collection of radical landscape poetry, The Ground Aslant. Since 2005 she has been working on a site-specific sequence called Zeta Landscape, which explores the land and rhythms of a farm on the banks of the River Vyrnwy in Powys through pastoral and prime numbers. John Goodby‘s most recent books of poetry are uncaged sea (Waterloo, 2008), Wine Night White (Hafan, 2010), and Illennium (Shearsman, 2010). His second full-length collection, A True Prize, is forthcoming from Cinnamon in 2011. He won Cardiff International (2006) and the New Welsh Review (2009) poetry competitions, and used the prize money to found and run the experimental poetry performance troupe Boiled String. He has also published translations of Heine’s Germany: A Winter’s Tale (Smokestack, 2005, the Algerian poet Adel Guemar’s State of Emergency (Arc, 2007) (with Tom Cheesman), and No Soy Tu Musa / I’m Not Your Muse (Torremozas, 2009) (with Carlota Caulfield), an anthology of Irish women’s poetry translated into Spanish. His day job is as a lecturer in the English Department at Swansea University, and in this capacity his research interests include Dylan Thomas, the poetry of the 1940s, and Irish poetry since Yeats. Kathryn Ashill is a practicing artist from Swansea who lives and makes work in Cardiff. The artist graduated from the BA Fine Art (Combined Media) at Swansea Metropolitan University in 2007. Her work concentrates on her physical interpretations of her surroundings that culminate in live actions that are documented through photography and film. Collaboration is a key element to the artists work as her performances focus around social interaction and interventions. Ashill’s work is site specific and people orientated. The performances are often in response to personal experiences, and her understanding of a landscape and the people within that given environment. The artist has invited kissing, touching, hugging, squeezing, washing and holding to forge a bond with participants and the locality. The Quantum Brothers have arisen through a sporadic collaboration between Paul A. Green (text, voice & audio) and Jeremy Welsh (video, graphics & audio). They will be exhibiting sequences from The Slow Learning (1989/91) and their latest on-going project A Beginner’s Guide to Radial City. The Slow Learning was devised as a video poem for TV, exploring “the terminal zones of the urban education industry” and “the slow motion of knowledge that’s just about to go fast forward into overwind…” In various modes (performance/installation/screening) it has been presented at the ICA, South Bank Centre & National Review of Live Art. Paul Green teaches media at Royal National College for the Blind, Hereford; while Jeremy Welsh is MA course leader at the Academy of Fine Art, Bergen, Norway. Chicken of the Woods are a London and Talgarth based band who play simple music on wooden instruments. 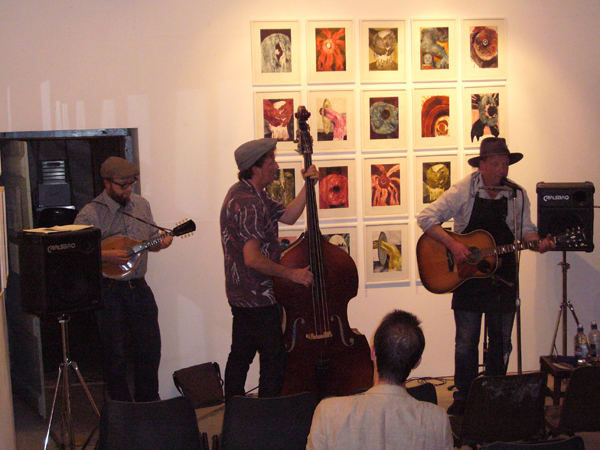 Their sound bears traces of bluegrass, punk, discordant English folk music, the 1920′s sermons of Rev. F.W. McGee, the rural blues, and the Baptist hymnal, William Blake’s songs of Innocence (Bathtime in the country) and Experience (In the belly of the pig). Lyndon Davies was born and brought up in Cardiff, but currently lives in Powys. His first collection of poems Hyphasis, was published by Parthian in 2006. His second book, Shield, (Parthian) came out in May 2010. He co-runs the Glasfryn Seminars, a series of discussion groups on contemporary literature. Susie Wild is a freelance journalist based in South Wales. As a poet she performs regularly, publishes here and there, and is working on a first collection. Her short stories have been published in The Raconteur and the Nu: fiction & stuff anthology and her debut collection of stories, The Art of Contraception is out through Parthian later this year. She likes good live music, Old Man Pubs, patterned tights, hair dye and avocados. Academi is the Welsh National Literature Promotion Agency and Society for Authors. 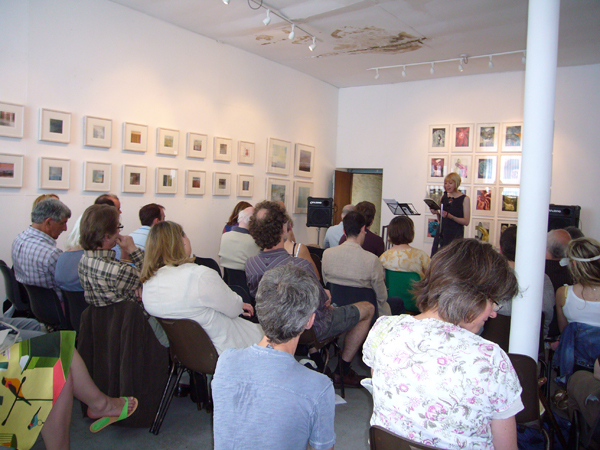 Academi runs events, courses, competitions, including the Cardiff International Poetry Competition, with the support of Cardiff Council and offering a First Prize of £5000, conferences, tours by authors, lectures, international exchanges, events for schools, readings, literary performances and festivals. Academi is also responsible for the National Poet of Wales project and the Welsh Academy Encyclopaedia of Wales. CREW was established to co-ordinate postgraduate research in an area of study that has grown in importance in the light of the creation of a separate Welsh Assembly. The cultural distinctiveness of Wales was, for 1,500 years, intrinsically bound up with the Welsh language and its outstanding literary tradition centring on Barddas, a rich body of strict metre writing unique to Wales. But the twentieth-century saw the emergence not only of English as a “majority” Welsh language but also a literature in English that was the product of an anglophone yet distinctively Welsh culture. The Centre is also home to the David Parry Archive of materials relating to the Survey of Anglo-Welsh Dialects, an unique resource for dialectologists and socio-linguists that attracts scholarly researchers from Continental Europe. The Centre is supported by major specialist library holdings that equal any outside of the National Library of Wales. Its MA programme was singled out for special commendation in a recent Teaching Quality Assessment exercise, and external assessors have praised the innovation and high quality of the postgraduate work it has produced. CREW is also leading on the Bibliography of Welsh Literature in English Translation, a major Art and Humanities Research Board project. The online version was completed in 2003 and the printed version in 2005. Other projects include hosting The Encyclopaedia of Wales (a two-year Lottery-Funded project) and a website that focuses on Welsh writers in English. The Centre has produced over 30 publications in recent years and members of the Centre have also participated at several conferences. Founded in 1965, Poetry Wales is a quarterly magazine with an international reputation for excellent poems, features and reviews from Wales and beyond. Emerging from a rich bilingual culture, Poetry Wales explores the diverse perspectives of Welsh poetry in English and its international relationships. Its interest in translation, and in local and national identities in a global context, are at the forefront of some of the most exciting developments in poetry today. The magazine is open to tradition and experiment, publishing poetry from a wide range of approaches. Against this background of dynamic contrast, it offers a lively and informed critical context for the best contemporary writers. Its interest in translation, and in local and national identities in a global context, are at the forefront of some of the most exciting developments in poetry today. The magazine is open to tradition and experiment, publishing poetry from a wide range of approaches. Against this background of dynamic contrast, it offers a lively and informed critical context for the best contemporary poetry. Elysium Gallery is an artist, volunteer run space that is committed to exhibiting and promoting the work of emerging Wales based and Wales educated artists (of all medias) whilst continuing to make links with the national arts scene. As a gallery it strives to provide support for new artists and art organisations as well as encouraging pride and participation in local visual and performing arts in an environment that promotes experimentation, freedom and appreciation in all creative practices. This helps to regenerate and create interest in the large gap between emerging and established artists, whilst continuing to strengthen and promote the Swansea arts scene. Geoff Evans at Oriel Contemporary Arts for providing the venue and supporting the venture from the start. Christopher Twigg, poet, painter, musician, for his wonderful hospitality in providing space in house and garden for readers, guests and yurts. Steve Groves, journalist, ex-BBC radio news and arts-programme producer. Now Jamboree sound man and sound-archivist. Angharad Griffiths, for her help with ticket and booksales. 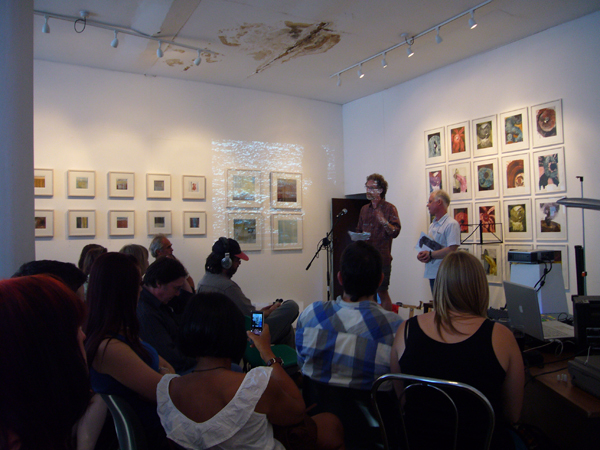 Jonathan Powell at Elysium Gallery, Swansea, for his generosity in providing the venue for the 24 hour sponsored reading, and material, equipment and advice for the Chapel film and art events. Chris Ozzard, of Blast House fame, for his wisdom and support beyond the call of duty. Ellie Evans, poet, for offering up a room of her house to accommodate readers. Penny Hallas, artist, for her incalculable help with logistics, cooking, ferrying, and a thousand other things. Anne Watkins, for kindly allowing us to use the Salem Chapel. Thanks too to Capital Valley Plastics for their kindness in providing blackout material for the chapel screenings. A big thanks from me and Lyndon Davies to all those who performed and turned up to the 2nd Hay-on-Wye Poetry Jamboree, 3-5th June, 2010. Great weather again and a superb programme. Those of you lucky enough to have caught it will have witnessed good sets from Rob Minhinnick and the legendary Peter Meilleur (Childe Roland) to kick things off, the latter ably supported by Sophie McKeand in his rendition of Ham & Jam and A Pearl (brilliant manic rewritings of Hamlet Act 2 Scene 2 recently published by Hafan Press). The Friday afternoon session was packed with good things: readings from Anthony Mellors (whose set included the immortal ‘Farley’s Rusks’ note from The Gordon Brown Sonnets), Keri Finlayson, and Scott Thurston (reading from Rooms and Internal Rhyme respectively – there were Shearsman-free zones in the Jam, but this wasn’t one of them). The mesmerizing Samantha Wynne-Rhydderch was back for a second year. Claudia Azzola, poet and editor of Traduzionetradizione, introduced her magazine and read some of her own poems, translated by Lyndon Davies. Improving lecture by me (‘Undispellable lost dream’: Welsh modernist and avant-garde poetry’). Then a rousing evening double act of Messrs Halsey and Monk, Alan memorably reprising his time in Hay with the ‘Letters of Change & Exchange’ among others, and Geraldine rapping her way around and into a fine rendition of the recently reissued Sky Scrapers. As usual, the post-Jam session wind-downs took place in the garden of Church House in Talgarth, courtesy of Chris Twigg (for premises) and Debbie Groves (for food). Plenty of yattering and drinking in the shade of David Greenslade’s yurt (and Georgetta’s devastating Romanian poitin), around a fire fed by slim Faber volumes, as last year’s owl returned to whoo through the dusk from the trees bordering the stream at the bottom of the garden. Saturday – a late morning set from Phil Maillard, Ric Hool and Richard Gwyn, reading from his new book Sad Giraffe Café. Randolph Healy had crocked his back and was unable to make his scheduled afternoon reading, but Ian Davidson was at his punchy best. Zoe Skoulding read some of her own work, then introduced the Italo-Franco-Belgian-Luxembourgeois poet Jean Portante, who read in French with Zoe providing the translations. After a break the traditional Poetry Wales session, which included contributions from Tilla Brading, Cris Paul, and Carol Watts. The afternoon also featured the launch of the latest issue of Angel Exhaust, the long-awaited # 21 ‘Each Aeon Free After the First One’ – The Welsh Underground special issue, with Andrew Duncan detailing the labours that have gone into the making of this epochal volume, the unearthing such forgotten masters as Paul Evans, Philip Jenkins, and the legendary Aberystwyth trio of However Introduced to the Soles, Niall Quinn, Nick Macias and Nic Laight. 2010 was the year the Jam went multi-media. 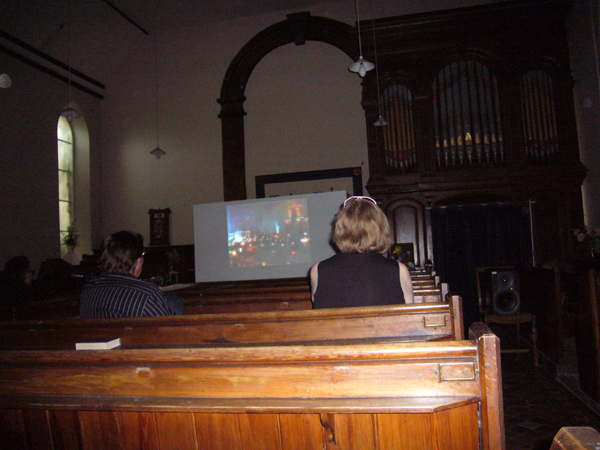 On Friday there had been a screening in the chapel next door of a slew of shorts organized by Jon, of Swansea’s Elysium Gallery; on Saturday it hosted the Quantum Brother’s nouvelle-vague-meets-Burroughs-meets-disco-and-dub Beginner’s Guide to Radial City. The Brothers’ hilariously dystopian vision was followed by the materialization in the vestry of the performance artist Kath Ashill, clad in a silver dress, perched beside a table of cakes which, one by one, we were invited to feed her. (This gloriously sticky ill-by-mouth scenario would later require an antidote of vinegar-drenched chips). All of which was a prelude to the culmination of the Jam in two mighty readings, by Elisabeth Bletsoe and Caroline Bergvall. After nuggets from Pharmocopoeia, Elisabeth blasted us with three of the Hardy heroines ventriloquised and earthed in her Landscape from a Dream, in a set so electrifying that at one point a nearby kettle started switching itself on and off. And, after the blue fire and thunder, Caroline’s astonishing cod Middle English versionings of The Canterbury Tales – The Wife of Bath lewd, thonged and hot to trot. And more. A wry, witty, sensual, virtuosic, comic-cosmic performance to close the poetic proceedings. Then the musical grand finale – Chris Twigg and Chicken of the Woods (think a Bromsgrove bluegrass Tristan Tzara accompanied by mandolin and double bass) – and Geraldine kicking away the furniture and getting everyone up (OK, the girls anyway) for a Bacchantic fling. Photos are on the Jam website, and mine and Lyndon’s Facebook pages. Anyone who was there who wants to give us feedback, comments, curses, blessings, please do. Any photos, too, please share them with us.